To actively promote and create practical ventures of ecotourism in rural municipalities to diversify and open new income opportunities for local people and improve their livelihoods while promoting local culture to national and international travellers. In the second phase ‘’ the Santiago project’’ will be scaled up and replicated in others islands of Cabo Verdean archipelago. Sustainable Tourism Development Model will be prepared and trialled to promote fair distribution of economic benefits to local people and small local businesses. A complex of five protected areas that includes marine and terrestrial components was established in 2014 on the island of Maio. 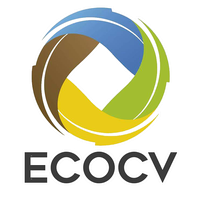 ECOCV was asked to contribute to the Business Planning process for the CAPM and tasked with the development of the Marketing Plan due to our expertise in ecotourism and community based conservation initiatives.